GO MS PJ Excel T137 — the foundation of WF embryo program. 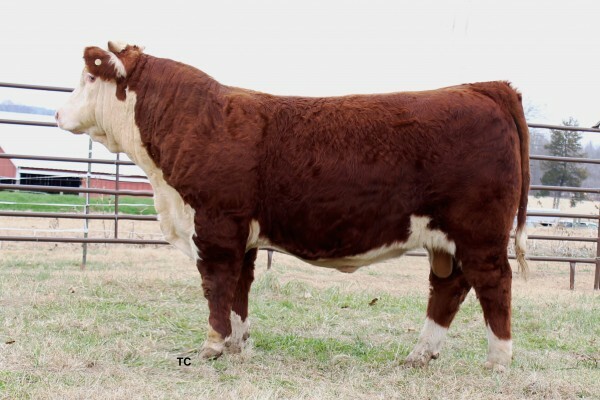 T137 was purchased in 2012 from Hoffman Ranch, Thedford, NE. 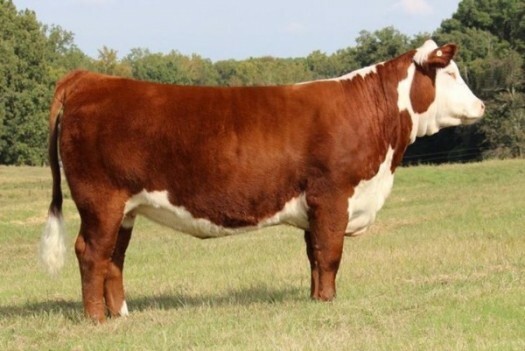 She has been described by some top cowboys as almost phenotypically perfect – with a long feminine front with lots of shape to her rib and hip – level and square throughout – an extremely eye appealing female. Coming from a long line of Ochsner cows and being a granddaughter of the great L18, she certainly has production bred in. 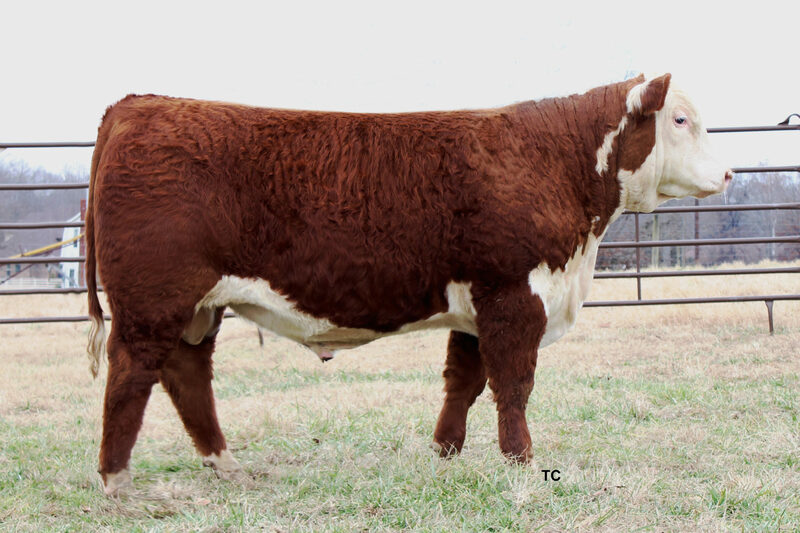 Her balanced EPD’s make it easy to breed her successfully to a wide array of sires. She has proven to be very fertile, producing 42 embryos in her first season here. 2013 matings were to Hometown, 88X, and 955W resulting in 32 calves weaned from 42 embryos transferred. 2014 matings were to Hometown, 955W and Perfect Timing. 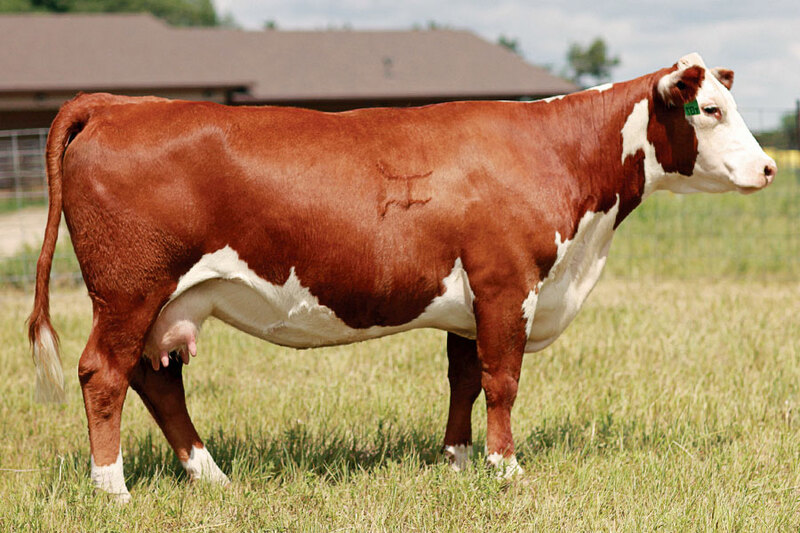 T137 was the ONLY cow with 6 calves participating in the 2014 JNHE and could be the only cow to ever send 6 offspring to a JNHE! They didn’t just show; they brought home 2 Reserve Division Championships, two class winners, along with a 2nd , a 3rd and four 5th in class. 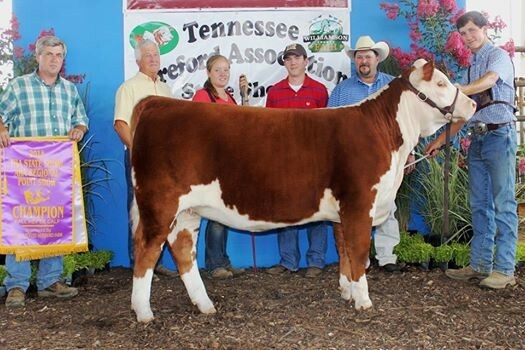 A daughter, WF 955W Dominette T137 1496 ET was Reserve Grand Champion at the 2014 TN Hereford Show, a 127 head AHA regional point show. In the fall of 2014, we lost T137. Through sons like Home Plate and “Billl” and many daughters in the keeper pen, we have no doubt that T137 will leave her impact on the WF program for years to come.